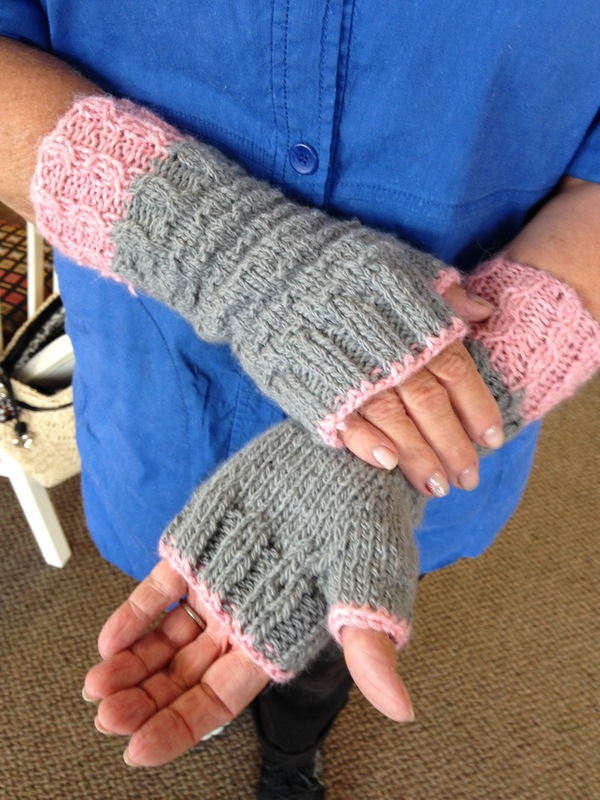 I apologize for such a delayed update to my Unleashed Mitts. They are long finished and given away. Here they are, modeled by their new owner. 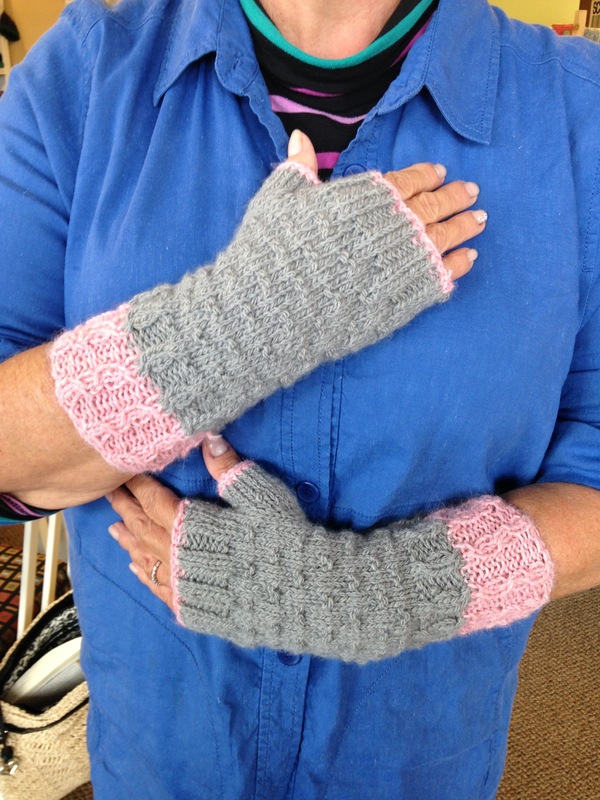 I opted to make them simply fingerless rather than convertible. Didn’t they turn out nice? So many projects yet to go! I better get back at it.